Looking at my tickets, I remembered I still had another ticket to book. My onward journey from Bangalore to Goa. When I checked on the railway website…all the tickets were hitting the high-waiting-list-numbers. The travel agent said the same when I went to try my luck there, maybe he had some quota tickets I thought. When he said he didn’t… I just left the idea of a train ticket. I let the idea pass, worse comes to worst, I’d book a bus ticket from Bangalore and travel to Goa…no big deal. Just then as I opened a newspaper and I read an advertisement of a new Travel Agency opened in Margao. “Why not give it a try, I have anyways nothing to lose”. Made my walk downtown to ‘JOHNRYAN’ Travel Agency, probably a month or so in business. In front of me sat a pretty girl, Travel Executive it said on her card (yes, she gave me one before I left). 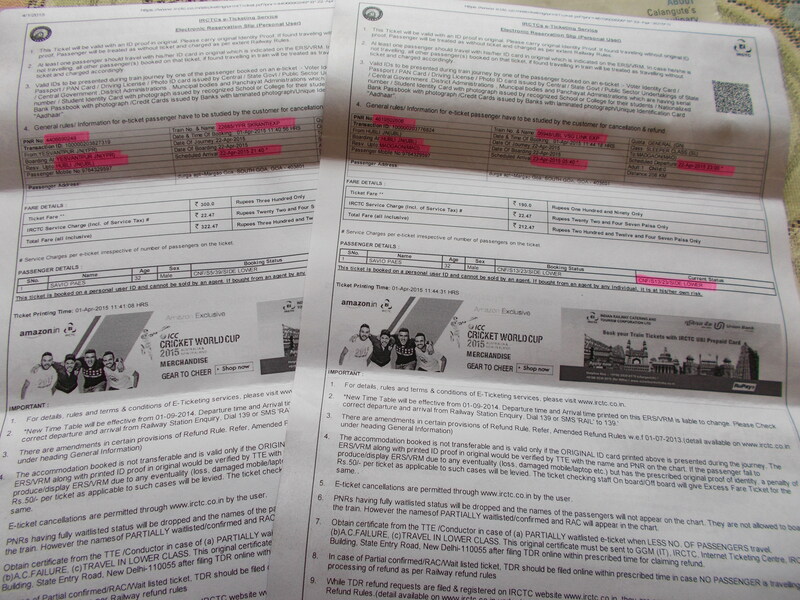 “Do you book train tickets?” I asked… I know stupid question to ask when it’s obvious, it’s a travel agency after all. Men do silly things and ask sillier questions when the person in front of them is a pretty girl. “I am only here to book a ticket…focus Savio” I told myself. As she went hitting buttons on her keyboard inputting info and getting outputs. She smiled, she found something… a ticket probably for me? It couldn’t be anything else…what else could it be? ‘aaaahhh’ I said in my mind. She broke my journey and found two trains which will get me back to Goa. Now why didn’t I think of it? Wait! I did… I had suggested that to her, she found that train and a connecting one too. How efficient! All this in like 10 minutes or so…she not only found one option but 2 … a few days back I couldn’t find 1 train ticket from Bangalore to Goa and here this pretty girl found me 2 options. I already liked her way of working, her good looks surely didn’t help. She is very likable, work, looks and all 🙂 I took down both the options and told her I’d be back in an hour. 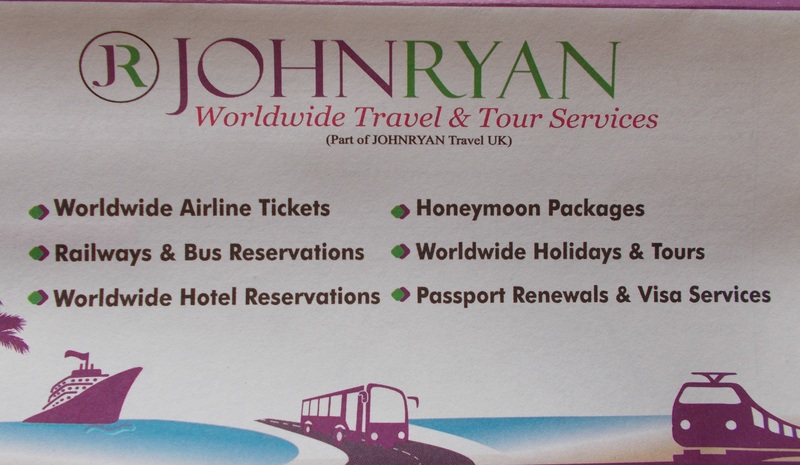 I was back in 55 minutes exactly having seen the madness at the railway station booking counter, JOHNRYAN definitely looked a good option, to book my ticket though them. She smiled when she saw me again, a customer of course was sitting in front of her, so I had to wait my turn. When he left I told her to go ahead and book my tickets. The time difference between my two trains, the one that brings me from Bangalore and the one that takes me to Goa is only an hour. How I only hope that both my trains arrive and leave on time. The other option didn’t seem very favorable, having to wait overnight at the station. Before leaving the office, she said “I’ll give you my card”… I normally ask for one, I guess I was too distracted. I took her card, it read Priyanka with her surname, Designation; Travel Executive. I suddenly felt like humming the tune of Priyanka Chopra’s – In My City. Of course, this Priyanka maybe from the same city as I am, so the song wouldn’t make any sense if I sang it to her, so was content in humming it, in my mind. I smiled, said thank you and left. There is a very good reason why I don’t mention her surname here :p …and yes I checked, she’s on FaceBook I might want to send her a friend request, and send her a link to this post to bring a smile on her face. Hahaha got it! Just to let you in on a simple fact ….I don’t like my name at all! Too common !! nooooooo….its a beautiful name. What would u then say about Savio…? Bangalore is a lovely place!! U wud want to pack the weather in your suitcase back home. Caution: Don’t get addicted to Bangalore!! don’t worry 😉 I think my love for Goa will surely bring me back… besides my home, work and other things 🙂 😉 How’s the weather in Bangalore now? I’m sure Goa is addictive too. I don’t put up in Bangalore but I have been there for a few onths. It’s a beautiful place! Hahaha, I guess you’ve made a new friend today! 😀 , btw, did you end up sending her the request? not yet sent her a friend request but I did send her a link to this blog post. Nothing like the person u write it for, reading it.